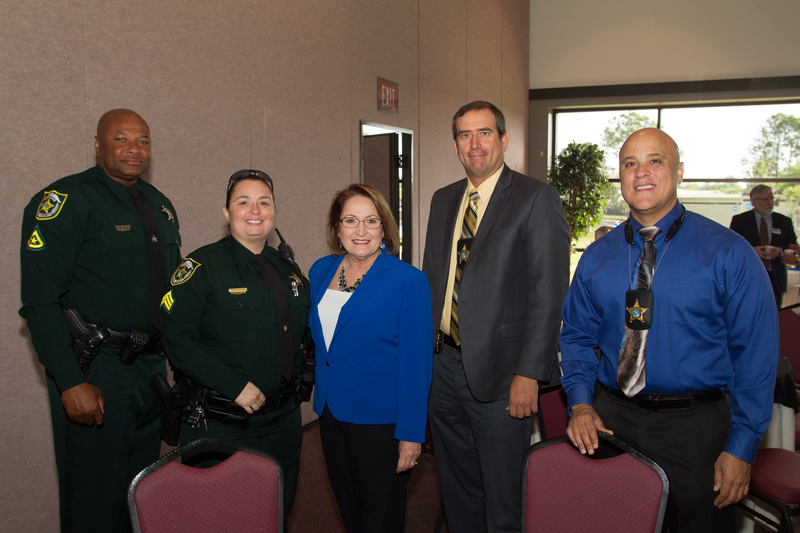 In honor of Child Abuse Awareness Month, members of Orange County’s Domestic Violence and Child Abuse Commission hosted a Child Abuse Prevention and Treatment Summit to focus on child abuse prevention and awareness and to promote the well-being of children and families in the community. Orange County Mayor Teresa Jacobs, chair of the Commission, addressed participants and presented a proclamation on behalf of the Board of County Commissioners at the First Baptist Church of Orlando. The summit’s community discussion on how to prevent child abuse used the “Community Café” approach. This model focuses on developing relationships to strengthen families and creates stronger partnerships with parents and communities through meaningful conversations with child advocate agencies. This approach is being practiced in neighborhoods, early learning and child care settings, tribal centers, schools, faith-based organizations, and social service systems. As part of the region’s advocacy efforts and because of the close connection between domestic violence and child abuse, Mayor Jacobs called for the renaming of the Orange County Domestic Violence Commission to the Domestic Violence and Child Abuse Commission in April 2015. The Orange County Domestic Violence Committee was originally convened in 2005 by former Ninth Judicial Circuit Court Chief Judge Belvin Perry, Jr., and the late Honorable Lydia Gardner, former Orange County Clerk of the Courts. As a result of several tragic cases occurring over the last several years in Orange County, Mayor Jacobs reconvened the Domestic Violence Commission (DVC) in February 2013. Six work groups were formed and more than 70 individuals representing a diverse spectrum of the community, as well as survivors, participated in the work of the DVC. In June 2013 the Commission produced more than 60 recommendations for improvements to services for Orange County families impacted by domestic violence. After the Commission issued its report, the Domestic Violence Implementation Workgroup was formed with the same membership from the Domestic Violence Commission. The Workgroup began the process of taking each recommendation to implement each goal of the DVC. After the Domestic Violence and Child Abuse Commission was renamed last year, the Commission expanded its membership to include community leaders with expertise in the field of child abuse prevention. Photos from the conference may be found on Flickr for use by the media.